சூப்பர்ஸ்டார் என்பதென்ன அவ்வளவு பெரிய பதவியா ? பொய்ப் பிரச்சாரங்களை அடித்து நொறுக்கிவிட்டு ரூ 128 கோடியைக் குவித்த ரஜினியின் பேட்ட! ஒரே பாட்ஷா, ஒரே படையப்பா, ஒரே ஒரு பேட்ட! 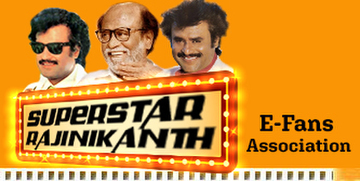 Have you ever been into the theaters when Rajinikanth’s face shows up on the big screen in his movie? The Superstar Introduction. You could have noticed the flock of ferocious fans extols and worship the star with a damn high energy. So how did he manage to reach such great heights in the industry? How does he win everyone heart? As an actor, Despite his acting qualities, Rajinikanth is well known for his unique trademarks. The Style and the dialogues. People call Rajini “The Style Samrat” and everyone uses his dialogues at some point in life. Rajini has the magic of delivering a simple dialogue in a most stylish tone and mannerism. For an instance, Rajinikanth dialogue in Sivaji as “Paninga thaan Kootama Varum, Singam Single ah Varum” was told by Actor Arjun in his movie “Giri”. But everyone began to use this dialogue only after Rajini’s impressive delivery in the Sivaji movie. This magic has been working across decades and people began to acclaim Rajini dialogues as “Rajini Punch Dialogues”. Here is the list of most popular and best punch dialogues of Rajinikanth. I would like to critically analyze and relate how these punch dialogues connect in everyone Life. 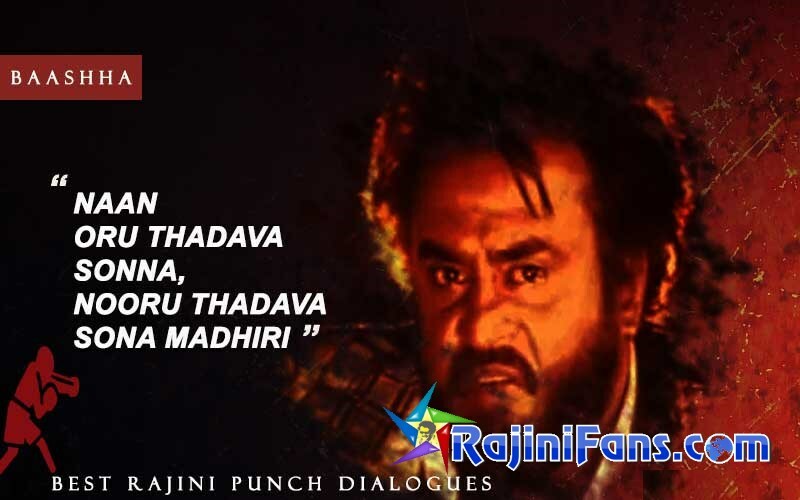 This is one of the powerful dialogues of Rajini to those who disturb him in the movie Annamalai. Everyone wish to threaten our opponents. 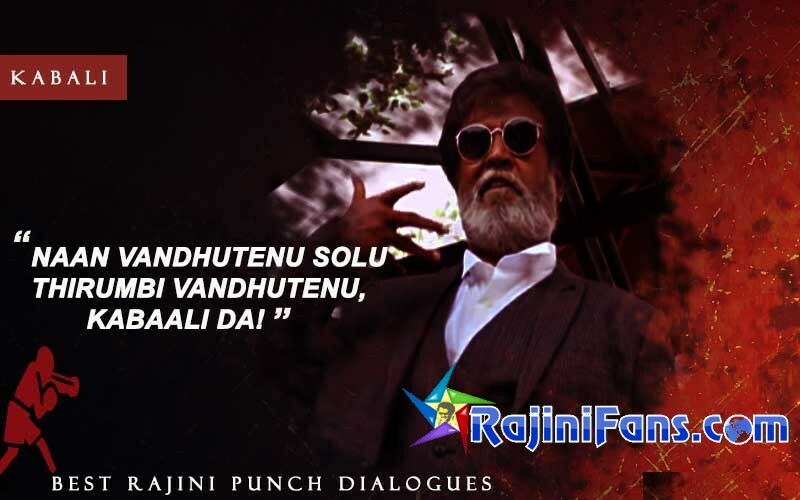 This Punch dialogue of Rajini has the capacity to pressurize your opponents. One the other way while saying it in Rajini’s tone, you could feel a daring confidence to do what you mean to do and what you supposed to do in an unfavorable situation. This punch dialogue explains the truth and purity, a woman owes to his husband’s family. It also endows a brother’s love with Man-attitude towards his sister. The simple and plain statement about the rise and fall of an individual. A Good living man shouldn’t be trapped in a situation that makes him to lose his lifestyle. Well, every spiritual person loves to use and reuse this punch dialogue in their life. Those who submit themselves to God always wish to act as per the God’s Plan for their life. This is an Epic in Tamil Cinema. Everyone from a kid to adult uses this punch dialogue of Manik Baashha to express their resolute decision made on something. This dialogue of Rajinikanth is the consoler of everyone at misfortune. This mass dialogue of Rajini in Baba is a key ignitor to push yourself when you tremble. Of course, everyone wishes to be like this. 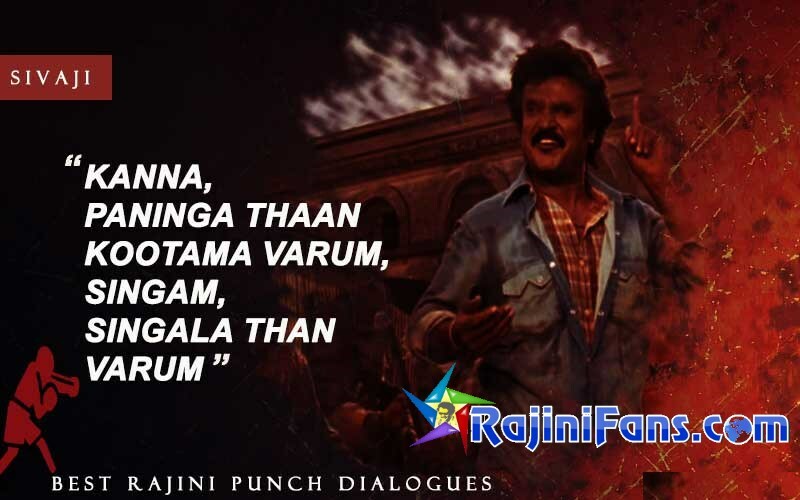 This Rajini Punch dialogue inspires everyone to think well before making any decision in Life. The single statement. A Universal Punch dialogue which applies to every situation in Life. This is a highly electrifying dialogue of Rajinikanth’s Kabali. Have you ever thought to roar like this with your name? You will definitely if you achieve what you decide. A Transparent statement to everyone for a better life. The best dialogue that talks about women and their wise behavior to prosper in life. This is one of the powerful punch dialogue of Tamil cinema. The tone of Rajini as Alex Pandiyan never goes unremembered. “Seeviduven” – The trendsetter of Punch dialogues. A single word that has got its power only in Superstar’s tone. This Modern philosophy of Muthu gives a sarcastic comfort to people mind. Everyone wishes to be punctually unpredictable just like Muthu. Rajini explains the reality of a greedy man and angry woman which is accepted by everyone. Everyone wish to pursue their own dream in their own life. You can very well witness this mindset in people when they love to say this dialogue “En Vazhi Thani Vazhi!”. Rajini easily explains the Lifestyle of Rich and Poor. Everyone loves to express their pride in living. Rajinikanth as Sivaji galvanize people mind towards this mindset through these dialogues. 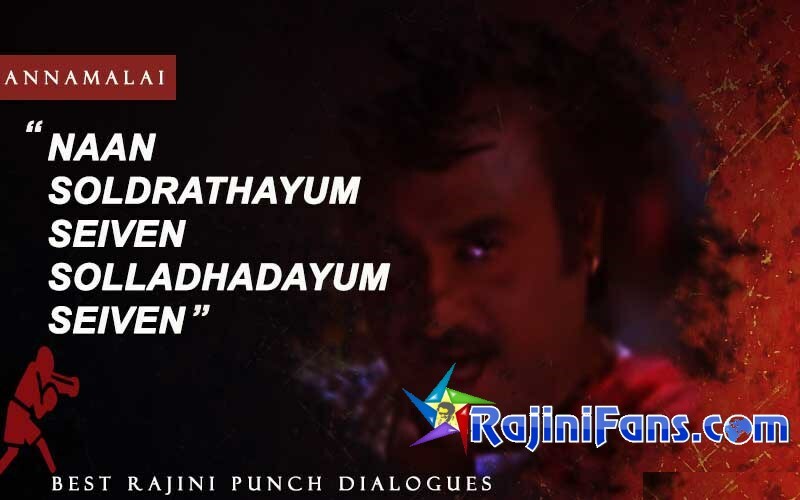 This wise punch dialogue of Rajini in the movie Uzhaipaali strike you to plan well and execute better. You should also be careful that your plan and execution-style be unknown to the people around you. Rajinikanth gives a best advise punch for a happily married life. In this movie, he repeats this dialogue of choosing the life partner to both the hero and heroine. Always be ready to face unexpected twists and turns in Life. Hey Hey Hey, Face your problems like this! On a final note, “Idhu Yepudi Irukku?”.